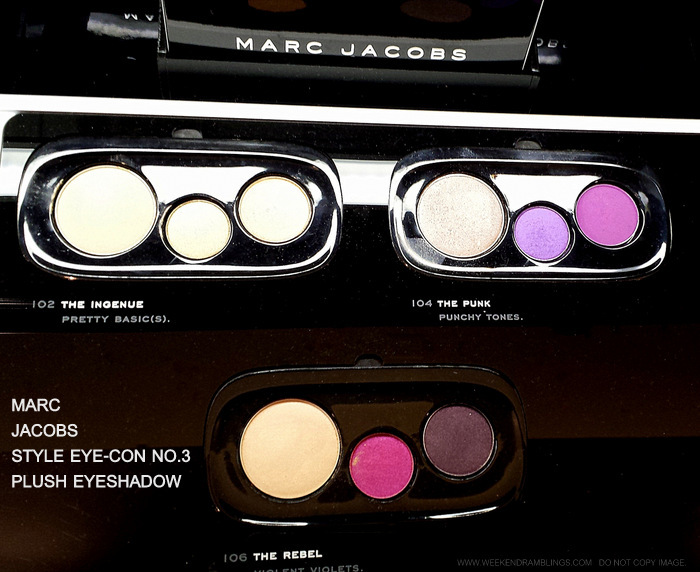 Marc Jacobs Style Eye-Con No. 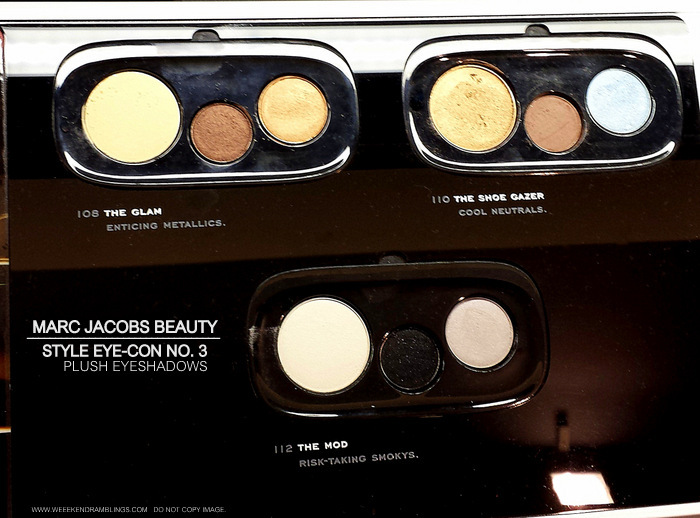 3 Plush Eyeshadows are the smaller of the two eyeshadow palettes from the Marc Jacobs beauty range. Similar to the Marc Jacobs Style Eye-Con No. 7 eyeshadows, these palettes too feature a mix of metallic, satin, and matte shades. The packaging is not narrow like the 7-pan palette - is more of a rounded palette - but it's just as compact. Scroll on for photos and swatches. I got around to swatching these eyeshadows towards the end of a really long day, and I forgot to swatch two of the mauve/purple based eyeshadow palettes - The Rebel and The Punk. Hopefully, the photos give an idea of the colors, and I will update the swatches when I get a chance to. These eyeshadows all seem soft, smooth, and quite pigmented, though my swatches might be a little heavier because I used a soft shadow applicator. Check Jenny's (Belletristic Beauty) review on the The Glam for product packaging and swatches on lighter skin.